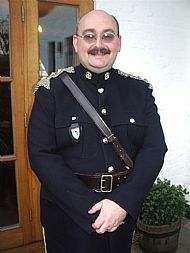 The Legion of Frontiersmen in Great Britain is an organisation of Civil Defence volunteers, many of whom have previously served in the Armed Forces, Police and Emergency Services. Others are drawn from the Civil Service and Local Authorities. Together we strive to maintain the Legion's proud tradition of duty and service to Crown and Country in defence of freedom and our way of life. 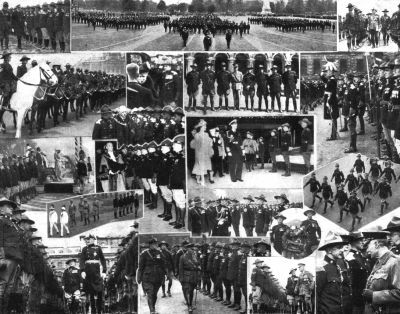 In addition to training in a variety of Civil Defence activities and skills, the Legion offers its members a range of exciting opportunities for voluntary work in the community, ranging from raising money for military charities and the repair and restoration of war memorials to providing ceremonial guards-of-honour for civic ceremonies. 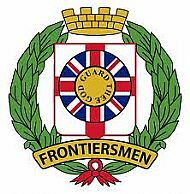 The Legion of Frontiersmen GB is affiliated to the Civil Defence Association (CDA) and is part of the international Frontiersmen network, The Legion of Frontiersmen - Independent Overseas Command (IOC). If you are interested in joining the Legion, please contact the Legion Adjutant, e-mail andy.smith1879 @ntlworld.com. 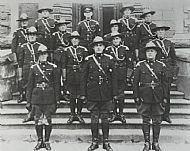 On parade and ceremonial occasions, members of the Legion of Frontiersmen wear a distinctive No.1 Dress uniform - cavalry 'blues' with an RCMP-style Stetson - a uniform largely unchanged since the 1920s. 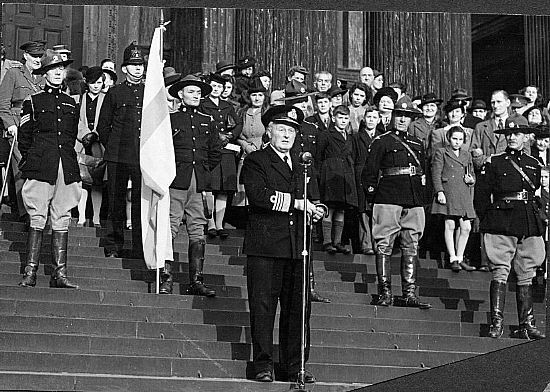 After having served in the Armed Forces, Home Guard and Civil Defence Corps during World War 2, members of the Legion of Frontiersmen were given pride of place in the Victory celebrations in 1945. A variety of scenes showing Frontiersmen throughout the 20th Century. 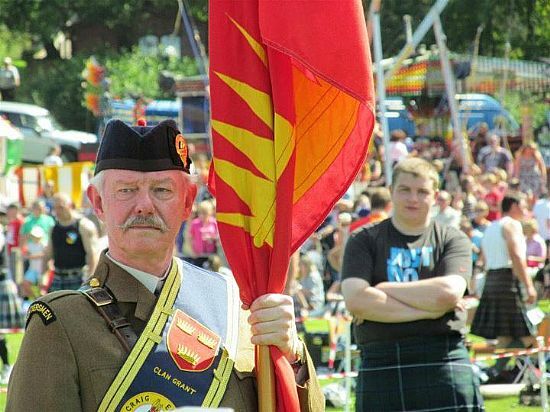 Legion of Frontiersmen GB Commandant, Col P Grant LF, leading the teams out to compete at the Highland Games, Abernethy, Scotland, 2012. 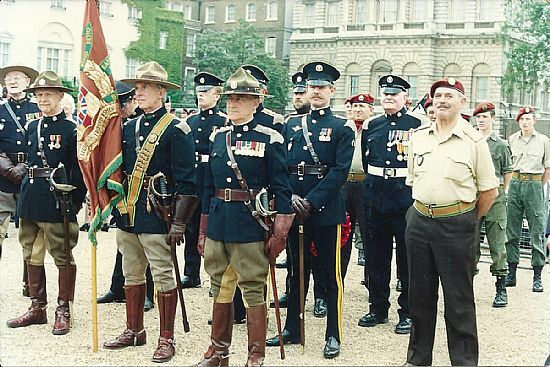 Frontiersmen at Horse Guards Parade, London, for the Belgium Day Parade. There have been strong links between the Legion and the Belgian army since 1914 when a contingent of Frontiersmen served with the Belgian 3rd Royal Lancers and were among the first British soldiers in action against the Germans in WW1. Legion of Frontiersmen GB Adjutant, Capt A Smith LF, at a Royal Society of St George event in Kent on St George's Day, 2012. 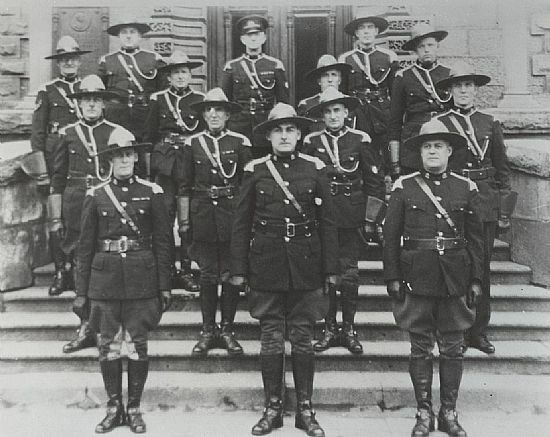 The Legion of Frontiersmen GB is affiliated to the Civil Defence Association (CDA).